With each year passing in the smartphone market it's increasingly difficult to produce a device markedly better than the previous one, so it's almost foolish to expect a major jump or revamp over the last. For Samsung, the age-old "if it ain't broke" mantra most definitely applies. There are improvements, and in some areas even market leading ideas, like the UltraSonic fingerprint sensor which - we hope - outperforms the current in-display optical ones. For the last ten years, Samsung's position at the head of the flagship Android table has been virtually unchallenged. Or at least, it was until last year when Huawei pull out the big guns launching the fantastic P20 series, as well as the Mate 20 range later in the year. Until then, it had been the only manufacturer to deliver a consistent, feature-rich flagship year on year, without so much as a minor blip (unless you include the dimple-backed S5). In its tenth generation, the S10 had to make a statement and prove again why it's considered the number one alternative to Apple's iPhones. We've only had a short time with it so far, but this year's Galaxy is looking very promising. With other manufacturers pushing notched and bezel-less screens in 2018, Samsung held strong with its own design for the S9, S9+ and Note 9. It might not have the same visual impact as an expansive, edge-to-edge display, but at least there was symmetry. It was far less jarring to look at than something like the Pixel 3 XL with its large notch and bottom bezel. This year, the company's avoided the notch completely, by building in hottest screen trend of 2019 - the hole-punch selfie camera. Rather than have an indented area at the top of the screen cutting into the display, the hole-punch style selfie camera sits within the screen, with display panel all around it, pushing content al the way to the top corners. The bottom of the screen does have a slightly thicker bezel on it, but, overall it's an impressive looking expansive panel. It takes up around 93% of the entire front surface area, but without losing the identity of the Galaxy S aesthetic. It curves towards the slim metal edges on each side, as does the glass panel on the back. The new Prism-monikered colours (black, blue, green and white) are aptly named. Change the angle, and depending on the lighting in your area, the glass gives off some stunning shapes and patterns. It's not as noticeable in the lighter colours, but the teal (Prism Green) model gave off some beautiful reflections from its surface. It's comfortably the best looking of the four available colour schemes. Size-wise, the S10 sits beneath the S10+ (as you'd expect) and above the new, smaller, S10e. Despite featuring a smaller display, and not having that dual front camera, everything else about the regular S10 is just as flagship as its plus-sized sibling. It feels well made, sturdy and sleek, retaining that premium glossy appearance that has graced the S-series since the S6. There's no shortage of buttons or ports either, with Samsung deciding not to ditch the headphone jack just yet. It joins the Type-C port and the speaker grille on the bottom edge, while the power/sleep button lives on its own on the right side. Opposite, on the left side, you'll find the volume and Bixby buttons. Looking around the phone for the first time, apart from noticing the unusual long rectangle camera housing, one of the first things we noticed was the lack of a fingerprint sensor. That's for one good reason: this phone, like its bigger family member, has an in-display fingerprint scanner. Unlike the optical, camera-based ones you'll find in the OnePlus, Oppo and Huawei phones, it uses ultrasonic technology. That means it's not just taking a photo, and can detect differences in depth between the microscopic ridges in your fingerprint patterns. In theory, this makes it both more secure and much more reliable than optical ones. Samsung is something of an expert at building great quality OLED-based panels into its flagship phones, and the S10 is no exception. In fact, it promises to be one of the best we're likely to see this year. It boasts up to an astonishing 1,200nits peak brightness, while also being capable of producing stunning colour and with exceptional accuracy. Or, at least that's what Samsung claims. It also happens to support HDR10+, so with the right content, your videos will look bright, detailed, colourful and with plenty of contrast. Of course, we need to test it some more to see how good it really is. But, given how Sammy's smartphone screens regularly end up being among the best available, we're not concerned about its performance. It certainly seemed great on first look. Samsung didn't tell us which specific processor was powering the S10 range, but we suspect in Europe it will be the latest and greatest Exynos chip built in house, while some other markets will get the Snapdragon variant. Either way, you'll be getting an up-do-date flagship experience of the highest order. As well as having an efficient and powerful 8-core processor, there's also boat-loads of RAM in the S10. While some, including the plus-sized S10, are pushing the boundaries of RAM, the S10 has 8GB which is more than enough for a stutter and lag-free experience. It was hard to tell in our brief hands-on how stutter or lag free, but early signs suggest smooth, fast operation. Then there's internal storage, and Samsung seems to be pushing this message quite heavily: you can have lots of it. The lowest storage capacity is 128GB, with a 512GB model also available plus the ability to add more via microSD, up to another 512GB. That's a 1TB of storage combined, in a smartphone. To (hopefully) keep it going all day, there's a 3,400mAh battery. Arguably on the smaller models, this is where the improvement was most needed. Last year's S9 wasn't particularly great getting through busier days, but then that only had 3,000mAh. With the S10's extra 400mAh and Android Pie's battery optimisation, one would hope this will no longer be a sore point. Nothing's been made of the wired charging speeds, so don't expect it to reach the levels of Huawei's SuperCharge or the SuperVOOC flash charging from Oppo. With that said, it is equipped with Samsung's second generation fast wireless charging, which is among the fastest wireless charging options available right now. With Android Pie updates on its current phones, Samsung is rolling out a refreshed user interface to its One UI skin. It's still unmistakably Samsung, but at the same time, it feels new and fresh. Our first observation was the lack of an app drawer in the default setting. We'd suspect there's an option to enable it somewhere, but time was lacking in the briefings to check if that was the case (stay tuned on that). Still, animations seem smooth and pleasant, while the Bixby screen on the left of the main home screen space was actually attractive, showing useful snippets of information in clean, rounded rectangle widgets. Dual cameras are so 2018. 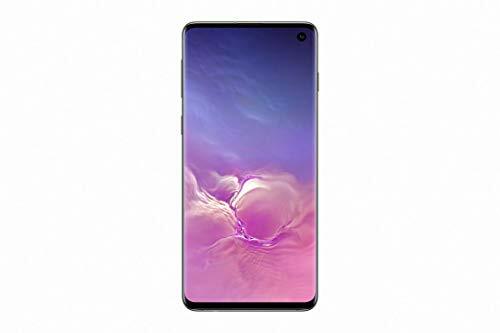 Indeed, 2019 is fast becoming a year where it's starting to become normal to see three cameras (or more) on the back of smartphones, and the Galaxy S10 is helping to lead that charge. Thankfully, like we saw with the Mate 20 range from Huawei, there's good reason for each of those cameras. It's not just cameras for cameras' sake. Like last year's phone, the primary camera features a dual aperture mechanism, allowing you to shoot much better photos in low light situations. With that said, it'll be interesting to see if Samsung's fixed its issue with over-exposed highlights in daylight shots. It's the combination of the three cameras that makes these seem like it could well be the ideal, versatile camera you've always wanted on a Galaxy. Very much like the Mate 20 Pro, there's a normal (or wide) lens, as well as ultra-wide and telephoto zoom lenses. What's more, to give this triple combo some proper smart juice, Samsung has improved its AI-powered scene selection and smarts. Not only can it now detect 30 different kinds of scenes and auto-adapt the settings to make the most of them (shout out to dog owners), but it can also give you suggestions as to how to frame your shot properly. If it spots a horizon, it can help you straighten your scene, or if you're shooting a portrait it can tell you how to line up your subject for a perfect photo. It may be built into a mildly unsightly long rectangle protrusion on the back, but this camera system could end up being one of this year's best. Still, we do need to test it some more to give any kind of indication as to how good it really is in real life. The triple camera system pretty much brings it up to line with the likes of the Huawei Mate 20 Pro, as do the smart auto-camera suggestions and wireless reverse charging. From our first looks, this is going to be yet another year when Samsung's flagship is one of the flagships to beat. With more pressure in the Android market from Huawei, it'll be interesting to see how stacks up against the upcoming P30.